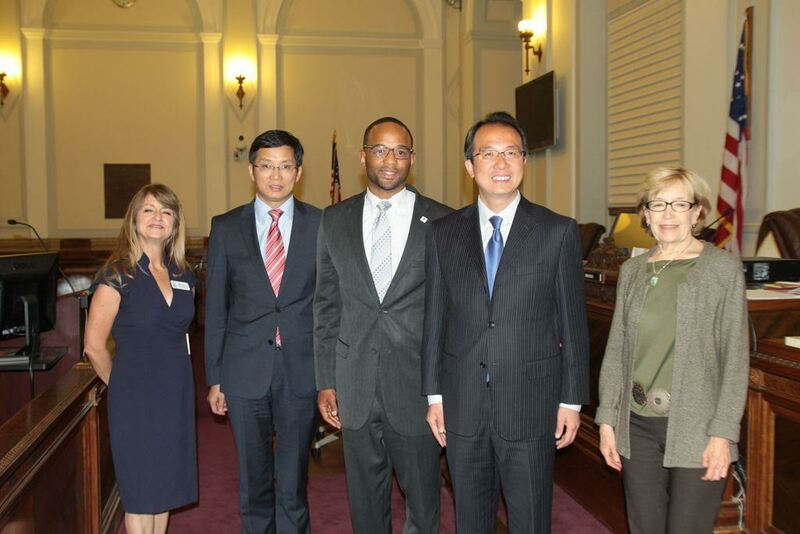 On September 6, Consul Genera Hong Lei visited Denver, Colorado and met with City Council President Albus Brooks, Executive Director of Denver Sister Cities Committee Beth Hendrix and Denver-Kunming Sister City Committee Chairman Jeanie Johnson. Consul General Hong Lei said he was pleased and impressed by the beauty of the city and hospitality of its people. In recent years, the cooperation between China and Colorado is expanding in various fields, and more and more Chinese enterprises and students are coming to Colorado. This year marks the 30th anniversary of the establishment of the sister-city relationship between Denver and Kunming, China. Last week, the two sides successfully held a celebration party in Denver, highlighting the friendly exchanges between the two cities. We hope and believe that Denver will continue to deepen friendly cooperation and exchanges with China in the future. Mr. Brooks warmly welcomed Consul General Hong Lei's visit. He said Denver regards China as an important cooperative partner, cherishes friendly relations with Kunming, and welcomes more and more Chinese enterprises and students to invest or study in Denver. He looks forward to further deepening exchanges with China in the fields of tourism and education.